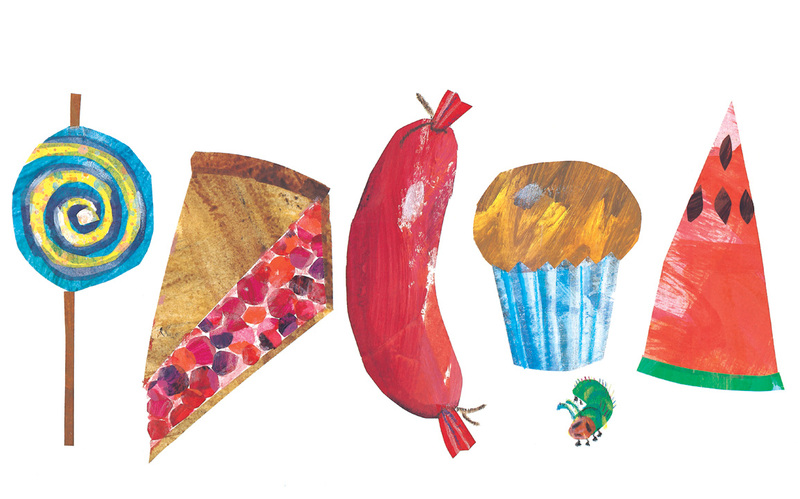 Eating ourselves silly on Monday carried over to Tuesday, and then even into Wednesday. I think all day Tuesday I ate an apple with some peanut butter and drank a green juice. Apparently it is possible to be full for two days straight. Yesterday was Market Wednesday, and it was perfect because we still weren’t super hungry, but we snacked on fruits and vegetables while we walked around. So by about 2 in the afternoon yesterday, two days after our feast, Brad and I were finally kind of hungry. We decided we were going to eat light for the rest of the day. Seafood and veggies. That sounds like my ideal diet anyway. I love seafood and I love veggies. I was definitely in. 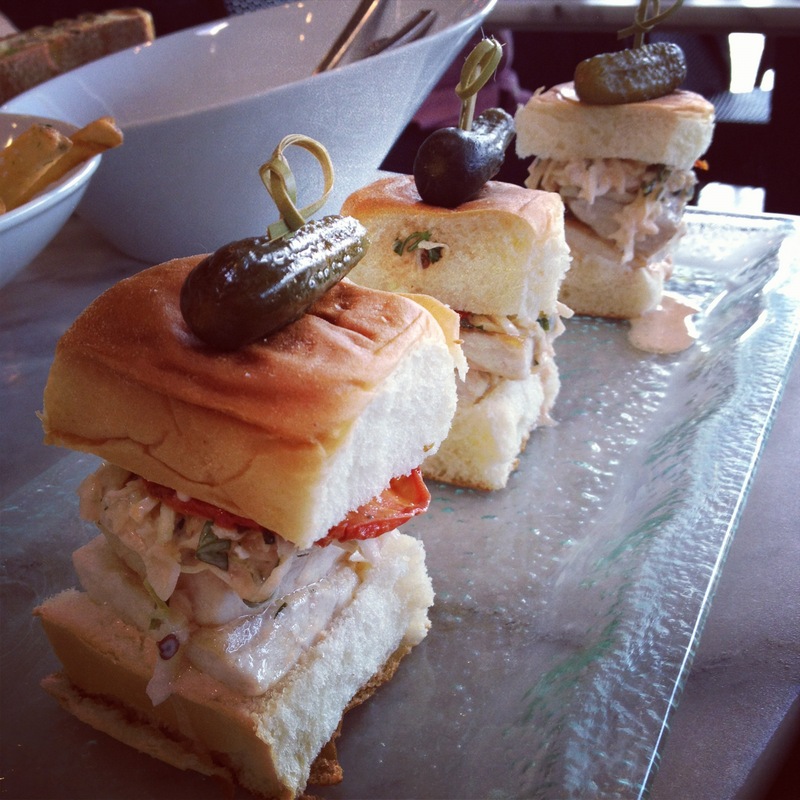 We ended up sitting at the restaurant and getting mussels, french fries, and these delicious Spicy Swordfish Sliders. Still sort of healthy and light, right? Ok, after this I swear we kept to our healthy and light declaration. 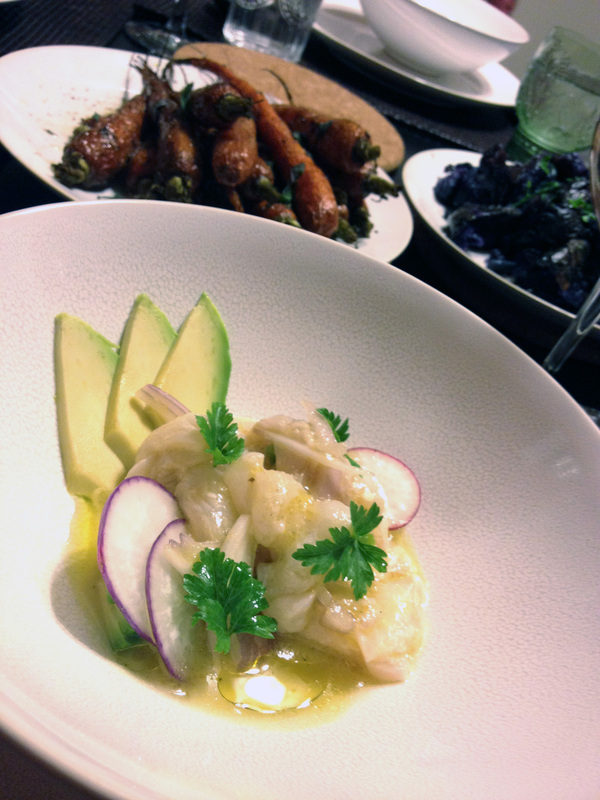 Brad made a wonderful Halibut Ceviche with Avocado, Turnips, and Jalapeño. Ceviche is a seafood dish that is particularly popular in Central and Southern America. It is made by marinating raw seafood or fish in citrus juices. 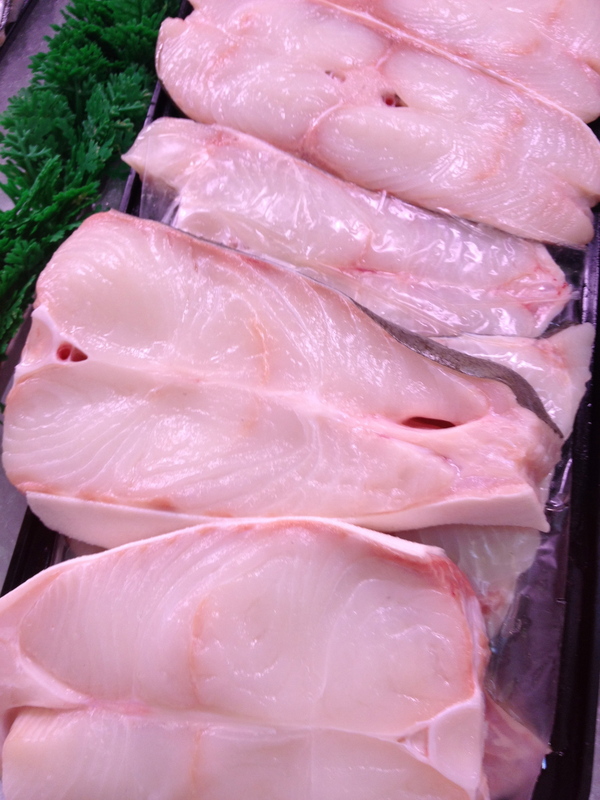 The citric acids essentially ‘cook’ the fish in the same way that heat does. Traditionally, lemon and lime juices are used. Brad spiced his ceviche up with a little fresh blood orange juice, as well. 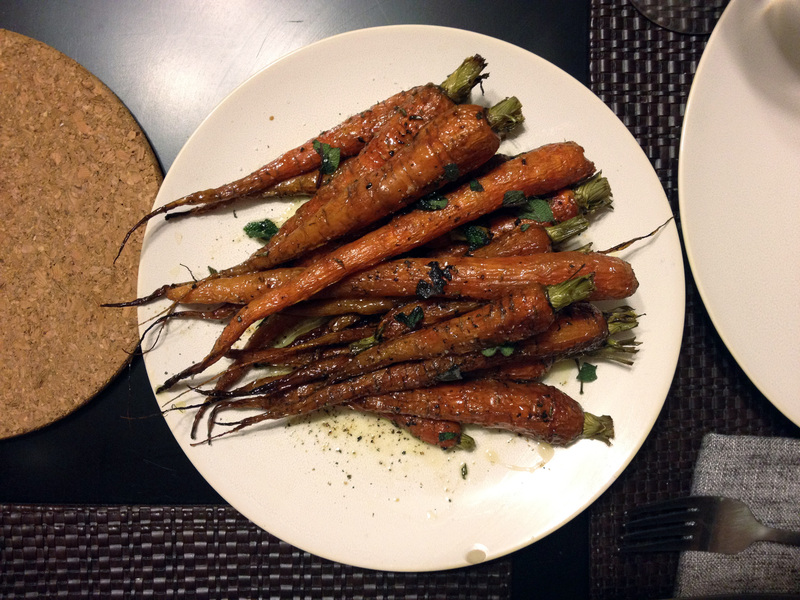 Keeping with the light and healthy theme, he also made honey-roasted carrots, rosemary purple potatoes and grilled asparagus with mint. Since we were going light, citrusy, and fish for dinner – I chose a crisp, citrusy, dry white wine to pair with dinner. Something that could stand up to the tart of the ceviche and the sweet of the carrots without overpowering. First of all, Spanish wines pair fantastically with Brad’s very Spanish style of cooking. It’s a no-brainer to drink Spanish when he cooks. I don’t always follow this, but it’s a good place to start. Second, Spanish wines are an amazing bargain. For some reason they haven’t gained the respect or popularity of French or Italian wines, even though Spain is the most densely planted country with grapes. Maybe people just haven’t caught on yet. Go to your local wine store and ask for a good Tempranillo, Monastrell, Granache… You won’t be disappointed. Especially on a budget. Verdejo could be called Spain’s signature white wine grape. It has subtle citrus, good minerality, and usually medium to full body. 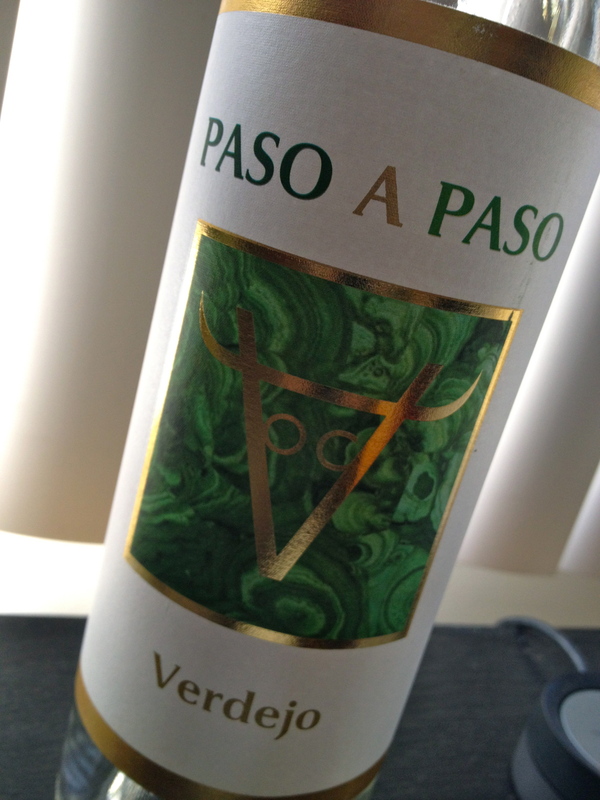 This Paso a Paso goes for $10. It’s the perfect hot weather wine. Pairs great with lighter, summery dishes. And since my bottle is now empty, I need to restock ASAP. I also just asked Brad for a quick rundown on how to roast those most delicious carrots that we couldn’t get enough of. Super simple. Great for a summer cookout. Clean carrots and remove their greens. 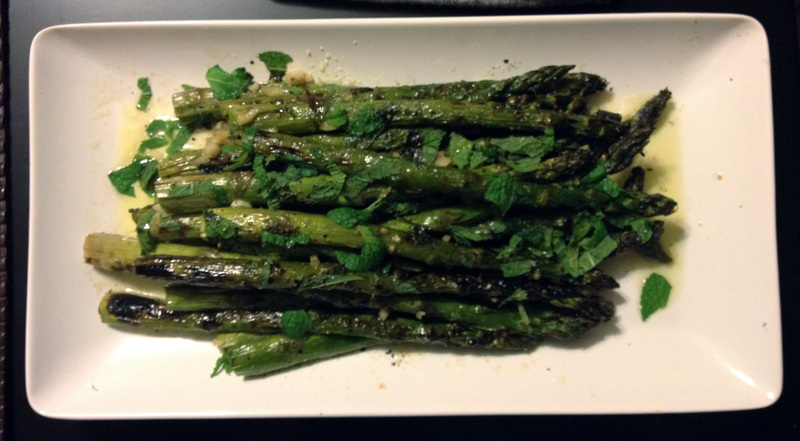 Toss with olive oil, honey, rosemary, thyme, salt and pepper on a cookie sheet. Arrange flat and roast at 350 degrees for about 15 minutes.